This comes after on 21 October, the Greek Naftemporiki media outlet said that a group of ten masked men reportedly belonging to the Rubicon anarchist group attacked the Embassy of Canada in Athens, breaking glass doors near the entrance. 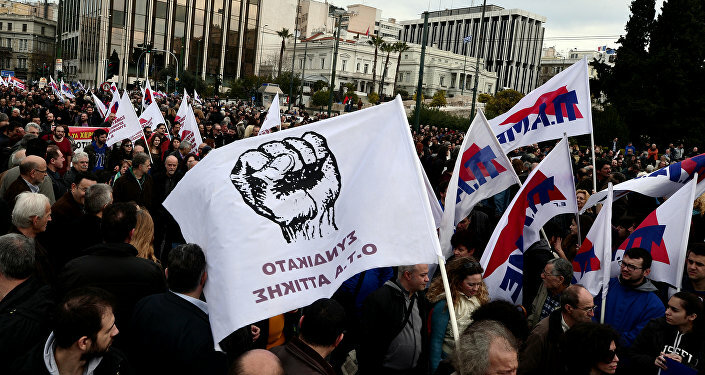 Members of the Rubicon anarchist group stormed the Swiss Embassy building in Athens on Monday morning. Ten people have been detained so far, the Greek AMNA news agency reported. According to police, as cited by the news agency, the embassy's staff and private security officers said they are not looking to press charges against the anarchists. Therefore, it is highly likely that the detained will be released. This is not the first time Rubicon has carried out such an attack. For instance, on 21 October, the group targeted the Embassy of Canada in Athens, breaking glass doors near the entrance. Moreover, it previously attacked the embassies of Spain, France, Germany, Iran, and Israel. Despite the international community's requests, authorities have failed to stop the attacks.